I technically reviewed these in this Candyology101 podcast, but I like doing write ups even when I review items in different media. (Like audio or video.) It's nice to get to discuss the items with more detail, and I like taking foodie photos, so here's the official written post for Mystery Peeps! 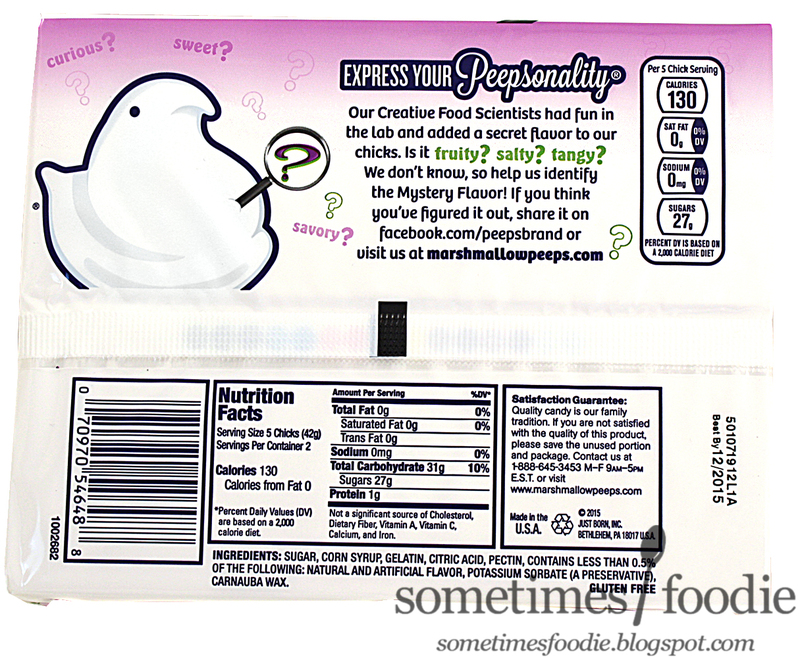 The packaging is the same shape and size as the traditional marshmallow Peeps, but this time the design doesn't entirely match the chick-shaped marshmallows inside. Normally blue peeps are in blue packages, white in white, yellow in yellow...and so on. (Peep color segregation!) 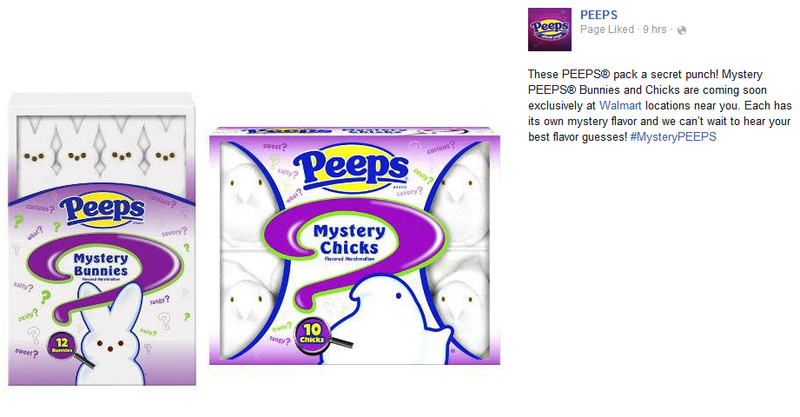 This package is more like the Party Cake flavored Peeps, where the design is more graphic and interesting. We have some purple gradients and accents (I guess purple is the most magical and mysterious color they could have gone with?) and there are scattered descriptive words to enhance the "mystery" aspect of this flavoring. I'm not a huge fan of the packaging, I feel like it's a lazy design, but that it's trying hard at the same time. I kind of wish that the company went crazy with this one and did blind packaging so that we couldn't even see the Peeps inside, or that the packaging looked like some kind of lock box, or even a magician's trunk. I'm not usually a fan of gimmicky design, but I really think they should have had a bit more fun with this one. When you first open the packaging the aroma is a bit tangy and fruity, but not overwhelming. I couldn't really tell what the flavoring was by the aroma alone, but there's definitely some kind of fruit involved. 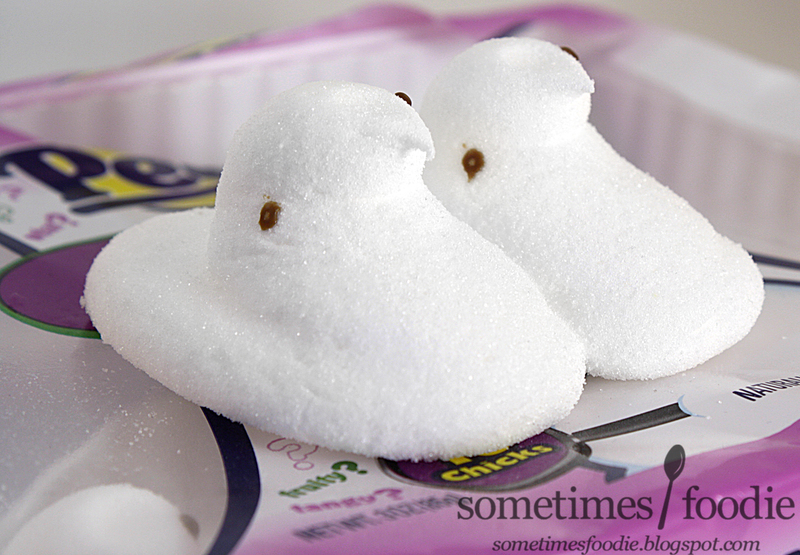 If you get up close and personal with these Peeps the aroma gets pretty artificial and a bit stronger. At this point I"d venture to say this smells like Kool-Aid and other powdered fruity drink mixes. (Also all my Peeps had wonky eyes.) When I tried these on air, I said they tasted like fruit punch, and revisiting them now, I stand by that statement. These taste sugary sweet from the sanding sugar coating, and all the flavoring seems to be mixed into the marshmallow itself. I can taste a tanginess, that reminds me of unmixed fruit punch concentrate or powder, and a hint of possibly cherry or pineapple. I was really excited when these were announced, because I thought they'd be a lot of fun, and in a way they were, but I can't say I'm a fan of this flavoring. Whatever this is, it's too artificial and intense for my tastes. I like flavored Peeps, and I think flavored marshmallows are a great snack, but this is like dipping a sugary marshmallow into Kool-Aid mix, and I'm not digging it. The company said that "Each has it's own mystery flavor..." and I'm not sure what they mean by that. 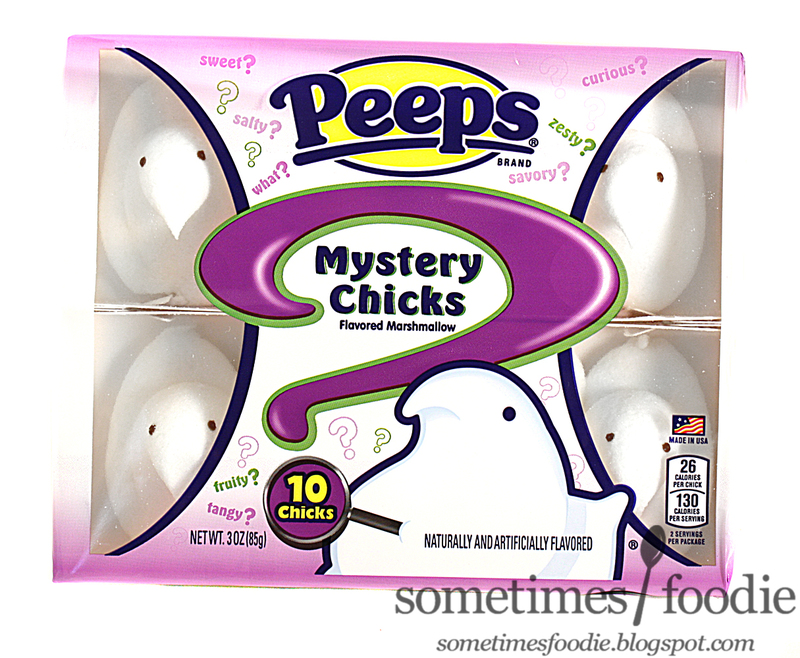 Are the mystery chicks different than the bunnies? Are each batch flavored differently like the mystery Dum-Dum's? I can only find chicks in my area, and I have had two packages from two different stores over an hour away from one another, and they both tasted the same, so I am guessing they meant bunnies have their own flavoring. Have any of you found the bunnies in your area? If so, what do they taste like? They are back this year but now they have 3 mystery flavors. I saw! Turns out I was right and these were Fruit Punch flavored, and they re-released them with red sanding sugar instead of white.